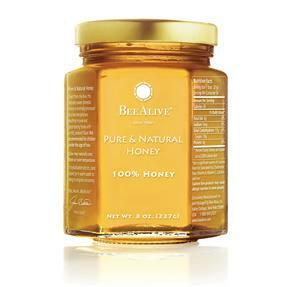 the BeeAlive buzz: The Buzz on Honey: Is Yours Actually Honey? The Buzz on Honey: Is Yours Actually Honey? In this post, we challenged you to substitute honey any time you use sugar due to its healthy mineral, amino acid and vitamin content. With a surplus of differing brands of honey on store shelves, choosing can get overwhelming -- how do you know which is best? The rule of thumb is generally that raw or minimally-filtered honey is best because the honey is able to maintain its beneficial compounds and its origin can be easily identified. In the U.S., the Food and Drug Administration says that any product that has been ultra-filtered and no longer contains pollen is not honey. However, the government has not been strictly regulating to see which brands contain pollen, which means many of the plastic bears on your store shelves probably do not. We’ve put together this blog post so that you will know how to decipher quality honey that still contains pollen and other beneficial enzymes from the imposters. Ultra-filtering is a procedure where honey is heated, sometimes watered down and then forced at high pressure through extremely small filters to remove pollen. Government health officials can identify the source of honey by inspecting its pollen. The origin of honey in which the pollen has been removed cannot be determined. This is worrisome because, for years, the Chinese have ultra-filtered their honey (some containing dangerous antibiotics) to disguise its origin and illegally export to the U.S. Testing has revealed that most honey sold by grocery chains in the U.S. is ultra-filtered. So, not only can honey’s beneficial properties be lost when it is packaged this way, but we no longer know where it’s coming from. “There is only one reason to ultra-filter honey and there’s nothing good about it,” he says. “It’s no secret to anyone in the business that the only reason all the pollen is filtered out is to hide where it initially came from and the fact is that in almost all cases, that is China,” Adee added. 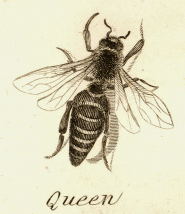 Raw honey has not been filtered or pasteurized (heated to high temperatures). Often, it is creamed to make it more attractive. Raw honey will become granular very quickly, and may separate in the jar with the liquid fructose rising to the top and granular glucose sinking to the bottom. Honey filtered with minimum heat (often labeled ‘Unpasteurized' or ‘Strained’) is minimally heated to liquify the honey in order to remove dirt, wax, bee parts, debris from the hives and other visible contaminants but leave the pollen in place. It is extracted and cleaned using an 80 micron filter. The honey is only heated to around 100 degrees Fahrenheit (the temperature of the inside of a beehive on a hot day). It contains a similar nutritional value of raw honey and will granulate in two to six months depending on the type of flower the bees visited to gather the honey. Pasteurized Honey is, unfortunately, the most common form of honey sold in stores. The honey is heated to 140 degrees Fahrenheit for 30 minutes, or even higher temperatures for a shorter period of time, ultra-filtered through a 1 to 5 micron filter, and then cooled quickly. Honey that is heated above 120 degrees will have an attractive color and delicious taste and last over nine months on a store shelf without granulating, but the pollen, propolis, enzymes and antioxidants found in raw and minimally-processed honey will have been rendered useless. Ultrafiltration, therefore, poses many potential health risks. If honey does not contain pollen, consumers and law officials have no way of determining its origin and, thus, if it contains any harmful chemicals. New York Senator Charles Schumer is one of the more than 20 U.S. senators and members of Congress (of both parties) who have repeatedly asked the FDA to create a federal “pure honey” standard, similar to what the rest of the world has established. We hope that this can be made a priority. BeeAlive’s naturally sweet domestic honey is minimally processed at a low temperature, in order to remove dirt, wax, bee parts, debris from the hives and other visible contaminants, resulting in pure and great-tasting honey with a mild, pleasant flavor. Raw and minimally-processed honey crystallizes quicker than ultra-processed honey, but you can remedy this by placing the glass jar in a steamer, a water bath or water-filled crock pot or a warm sunny window if you desire. All of our honey is sourced from North Dakota. We use this honey in the majority of our honey-containing BeeAlive supplements and BeeAlive Spa Essentials™ skin care products. At BeeAlive, we adhere to a strict set of standards and operating procedures to provide only the finest products to our customers. Our unwavering commitment to high-quality ingredients that produce pure, effective and beneficial formulas remains our top priority. Sign the Petition: Save Our Bees! BeeAlive Celebrates Earth Day 2013! Happy SPA-versary to BeeAlive Spa Essentials!